Advertising veterans still remember the days when they would pick up the phone and call a publisher’s sales team and put in an order for an online media campaign. And while the direct, person-to-person way of purchasing and selling media still exists with large advertisers and publishers, most advertisers, agencies, and brands have turned to programmatic media buying – i.e. using technology to help them automate and add efficiency to the online media-buying process. But there aren’t just 1 or 2 types technological platforms available to assist advertisers in carrying out media campaigns – there are heaps of them. There are platforms for the buy side, the sell side, and everything in between. With the sear amount of platforms and vendors, and the fact that most platforms fall into more than one category, it’s no wonder that people get confused by what all these different platforms do. And the 2 platforms that cause the most confusion in the Ad Tech ecosystem are the demand-side platform (DSP) and data management platform (DMP). What’s A Demand-Side Platform (DSP)? A demand-side platform (DSP) is a technological platform used by advertisers to help them buy available media (impressions). DSPs are a key component of the real-time bidding (RTB) process as they connect advertisers, brands, and agencies to ad exchanges and supply-side platforms (SSPs). Media buyers, advertisers, and ad agencies use DSPs to purchase media via the real-time bidding (RTB) process. Advertisers and media buyers use DSPs to buy media on an impression-by-impression basis – therefore allowing them to only bid on and purchase media that matches their campaigns’ targeting criteria. What’s A Data Management Platform (DMP)? A data management platform (DMP) collects data from a range of online and offline sources, segments data into audiences, and uses those audience segments for a range of different activities. Data management platforms can be used to activate data for a range of use cases, including media buying, content personalization, and audience analytics. On the other hand, the market offers another software for gathering and unifying immense volumes of data, that is a customer data platform. As it operates primarily on first-party data it provides a better option in terms of privacy and legal compliance. How Do The 2 Stack Up Against Each Other? On the surface, it’s quite hard to compare DSPs and DMPs as although they share some similarities, they are responsible for different things; DSPs are responsible for purchasing media and DMPs are responsible for collecting, segmenting, and activating data. However, if you take a closer look at them in an isolated area, such as media buying, then their similarities start to appear. So let’s take a look at these 2 platforms in the context of media buying to see how they stack up against each other in terms of data collection and use, connectivity with other platforms, and use cases. Advertisers and media buyers all know that the more you know about consumers and their behavior, interests, and intentions, the more you can optimize your message and increase conversions. It’s for these reasons alone that makes data just as important as the ad itself. A DSP for data collection and usage: While a DSP’s main job is to buy media, it also has data collection functionality. However, DSPs really only collect data about media campaigns (e.g. performance and audience data), which limits their ability to collect and utilize highly valuable first-party data. To combat this, DSPs connect to third-party data suppliers and data management platforms to improve targeting capabilities and reach. First-party data from web analytics tools, CRM and transactional systems, and marketing automation platforms. Third-party data from data suppliers. Because DMPs collect and store a wide range of valuable user data, they are often used to optimize online media-buying campaigns. And as mentioned in the section above, they are connected to DSPs to improve the targeting and reach of campaigns. The online advertising ecosystem is not linear; most platforms in the ecosystem are connected to at least 2 other platforms. The online display advertising ecosystem. DSPs for connectivity with other platforms: As DSPs are designed to help media buyers purchase media, they are connected to a number of platforms involved in media buying and selling, mainly SSPs, ad exchanges, and data suppliers. However, DSPs really only benefit those who are interested in buying media. If you are looking at selling media (e.g. if you are a publisher), then a DSP isn’t right for you – you’d be better off with a supply-side platform. DMPs for connectivity with other platforms: DMPs can be considered as “neutral” platforms in the online advertising ecosystem in the sense that they will benefit companies on the buy side and on the sell side. An advertiser or agency can use a DMP to improve media campaigns by connecting it to various DSPs, and a publisher can use a DMP to create and enrich their audience segments, and therefore, increase the price of their available inventory. DMPs can be used by any number of platforms and players in the ecosystem, including media agencies, trade desks, DSPs, SSPs, ad networks, and publishers. Some advertising and marketing platforms are designed to be all-in-one solutions that can be used for a range of activities, while some are just made to focus on one particular area. DIfferent use cases of a DSP: Demand-side platforms were designed to do one thing well – automate and optimize the media-buying process. And while they are a powerful weapon in an advertiser’s arsenal, they aren’t able to be used for much else apart from buying, optimizing, and reporting on online media. 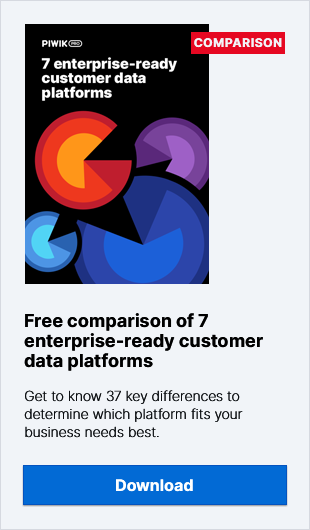 DIfferent use cases of a DMP: Data management platforms are starting to be viewed as not just another platform, but as the core platform which others revolve around. DMPs can be used for a wide range of advertising and marketing activities. Basically, if it involves the collection, organization, and activation of data, then a DMP can add quite a lot of value. Content personalization (e.g. on a brand’s website). Advanced web and app analytics. Attribution (e.g. cross-channel and cross-device). Enhancing a publisher’s audience segments, which can be used to increase the inventory price or sold to data suppliers. While most vendors offer standalone DSPs and DMPs, many are starting to offer DMP-DSP hybrids. A DMP-DSP hybrid is essentially a DMP that has media-buying capabilities or a DSP that has data management capabilities. DMP-DSP hybrids may seem like the most obvious choice for advertisers, brands, and agencies wanting to get both DSP and DMP functionality from one platform rather than having 2 separate, standalone platforms, but they should carefully consider their goals and understand the pros and cons of having a DMP-DSP hybrid. For example, while DMP-DSP hybrids provide media buying and data management functionality, the DMP component is only useful in the context of media buying – it can’t be used for anything else (e.g. personalizing the content on a website). Also, there is the matter of data privacy as with many DMP-DSP hybrids you don’t have much, if any, control over your data – meaning the DMP-DSP hybrid vendor can use your data for their own purposes. Ultimately, before choosing a standalone DSP, DMP, or DMP-DSP hybrid you should first identify your goals, understand what features you really need, and then pick the one that provides the most value. And if you can’t find one that provides all the features and functionality you need, then you could always just build one.